During the Civil War, neither the North nor the South was totally united over the key issues. Just as some Northerners supported slavery and secession, some Southerners were abolitionist and Unionists. These issues could split families, divide communities, and generate violence. As the “official” war progressed, quasi-military organization were formed to wage another war against soldiers and civilians alike. 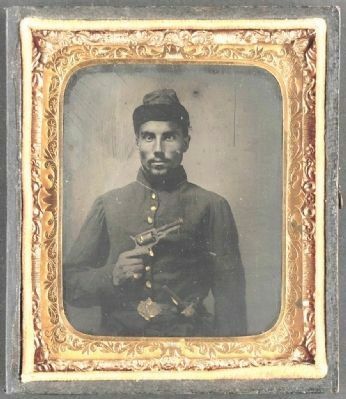 Ambushes and retaliation comprised the “war within the war” between 1861 and 1865. In August 1863, between here and the river, 1st U.S. 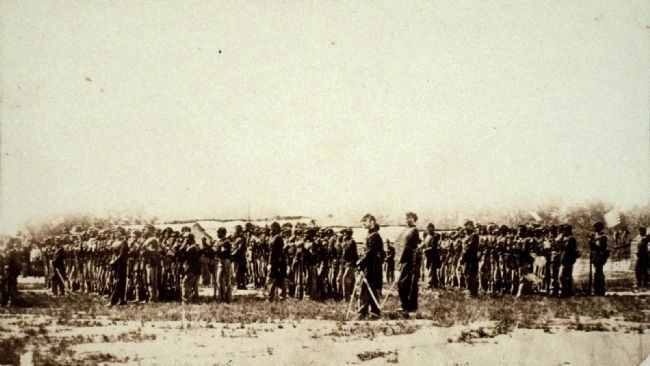 Colored Troops encamped as part of a garrison for Elizabeth City. This was the abandoned shipyard of Burgess and Martin (formerly Jim Black’s shipyard). The troops hoped to encourage the enlistment of area African Americans to suppress guerilla activity. in Washington, D.C., assisted in reducing lawlessness. In the countryside, however, guerilla activity remained intense, and Union foraging parties were constantly harassed. The black troops remained here only about ten days before they were transferred to South Carolina, where a siege of Charleston was underway. Lawlessness soon returned to Elizabeth City. 36° 18.215′ N, 76° 13.059′ W. Marker is in Elizabeth City, North Carolina, in Pasquotank County. Marker is at the intersection of North Poindexter Street and East Cypress Street, on the right when traveling north on North Poindexter Street. Touch for map. Marker is at or near this postal address: 715 N Poindexter St, Elizabeth City NC 27909, United States of America. Touch for directions. Other nearby markers. At least 8 other markers are within walking distance of this marker. Wright Brothers in the Albemarle (here, next to this marker); First School (approx. 0.3 miles away); Elizabeth City Confederate Monument (approx. 0.3 miles away); a different marker also named A Town Divided (approx. 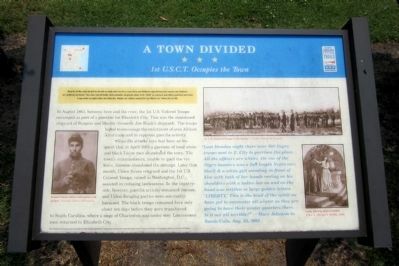 0.3 miles away); a different marker also named A Town Divided (approx. 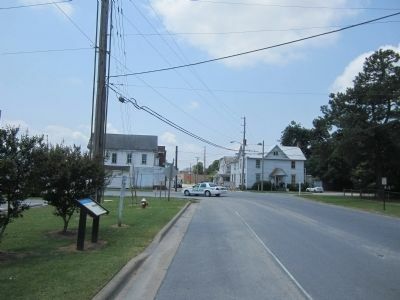 0.3 miles away); Historic Events in Pasquotank (approx. 0.4 miles away); Pasquotank County Courthouse 1882 (approx. 0.4 miles away); a different marker also named A Town Divided (approx. 0.4 miles away). Touch for a list and map of all markers in Elizabeth City. 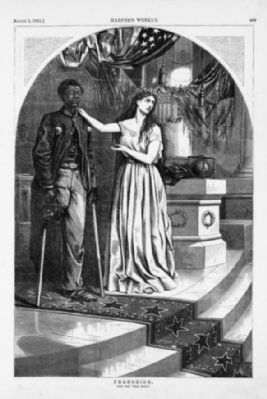 On the lower right is an image with the caption, "Lady Liberty and wounded U.S.C.T., Harper’s Weekly, 1865"
5. Franchise. And not this man? More. Search the internet for A Town Divided. Credits. This page was last revised on June 16, 2016. This page originally submitted on June 25, 2012, by Bernard Fisher of Mechanicsville, Virginia. This page has been viewed 501 times since then and 15 times this year. Photos: 1, 2, 3, 4, 5. submitted on June 25, 2012, by Bernard Fisher of Mechanicsville, Virginia.